Dr. Jasmine Naderi is an expert in braces treatment (also known as orthodontic treatment), from fast-braces to comprehensive braces, at an affordable cost. If you are looking for a Houston office you can rely on, you have come to the right place. Braces are used to straighten teeth as well as correct imperfections in the way that you bite down. We offer braces to our patients regardless of what your age is. If Tom Cruise can wear braces in his 40s so can you! If you are looking for a straighter, and more beautiful smile then Best Dental is the place for you and your family. Braces are used to improve your smile gradually, slowly realigning your teeth into their proper positions. Braces consist of metal wiring and bands that use small incremental forces to help straighten your teeth and fix your bite. With our treatment, we can help crowding, spacing, and fixing cross-bites, overbites, and under-bites. During your treatment, you will visit our office approximately once a month so that we can adjust your braces to get you that straighter and more beautiful smile that you’ve been looking for. Here below are some common Braces questions that our patients have asked us. If there are any other questions that you have or need further elaboration on, please contact our office. 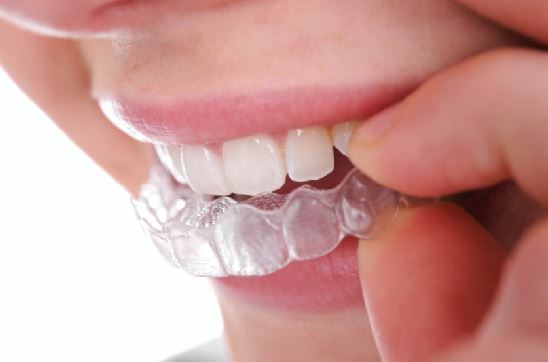 1) Invisalign: Also known as clear braces, Invisalign uses clear trays over a period of months to slowly move your teeth into their proper position for a more healthy looking smile. 2) Traditional Braces: Also known as Metal braces, traditional braces use brackets and metal wires to move teeth into their proper position. 3) 6-month braces: Also known as fast braces, 6 month braces quickly transforms your mouth into a radiating and beautiful smile that you can be proud of in as little as 6 months. It is imperative to get regular check ups and teeth cleanings during the course of your treatment. In general, it becomes much more difficult to keep your teeth clean around your braces during the course of your treatment, so we have to make sure to have regular check ups to keep your gum tissue nice and healthy. Teeth whitening is not recommended during the course of your treatment due to the fact that the brackets will not allow us to place any whitening material in that vicinity. Will Dental Insurance cover my braces treatment? Most insurance plans will cover a portion of your treatment. Depending on the plan, most in-network providers can cover up to 80% of your treatment. We will let you know exactly what your plan covers and how much your out of pocket expenses will be during your consultation appointment. Dental Braces are not painful. They will be slightly uncomfortable at the beginning as your mouth gets used to them. There is a big misconception that braces can be extremely painful, which is certainly not the case at all. After your initial appointment where your braces are placed, there will be slight discomfort and difficulty chewing for the first few days. Afterwards, braces will be like second nature. Your mouth will get used to them, and it will be like nothing is in your mouth to begin with. Your subsequent appointments where your braces are tightened will also lead to a slight discomfort for a few days, but again, this feeling usually goes away within a few days. How Are Dental Braces Put On? The teeth is air dried completely. The teeth are glazed in a blue liquid called an etchant to even further dry the teeth. A bonding liquid is placed on the teeth and light cured with a blue light. A cement is then placed on the teeth. The brackets are placed on top of this cement. The blue light is once again used to solidify the cement and to hold the brackets in place. The wires that help align your teeth are then placed, and grab onto the brackets. The wires are changed during the course of your treatment to slowly move your teeth into their proper position. Can Braces Fix Your Jaw or Jawline? For people who have a skeletal overgrowth of their lower or upper jaw, braces may be able to mask the appearance of how their teeth go together, but a lot of times, jaw surgery may be a necessity for cosmetic and functional reasons. The surgery is called orthognathic surgery, and we work closely with a jaw surgeon so that your case is done correctly the first time. Braces can cost anywhere between $3,500 – $5,500 at our clinic depending on the complexity of your case. After your consultation visit with Dr. Jasmine we will notify you of how complex your case is, and exactly how long it should take to complete. Some cases will take a little longer to complete depending on the status of your teeth and jaws. You will be fully informed on the affordable costs at your consultation appointment. Can You Get Dental Braces While Your Pregnant? Of course! There is no risk or harm to getting braces while you are pregnant. How Long Does It Take To Complete Dental Braces Treatment? As each case is unique, most cases will take between 12-24 months. There are exceptions that can be a little longer or a little shorter. The majority of people can expect to have their braces on between 18-24 months. The reason why braces takes a few years is not only to fix your spacing or crowding, but to fix and correct your bite. Most of us don’t understand how important our occlusion or bite is, but it is just as important to have this part correct as it is to cosmetically fix your smile. Can Braces Fix My Under-bite or Overbite? Braces can certainly fix your bite. By using force mechanics and torque, tipping, bodily movements, and rotation can slowly move the dentition or teeth into their proper position to achieve the beautiful smile that you have always wanted. As already mentioned, fixing your bite may take a few years. But once the braces come off, you will see how worth it the whole process really was. Can Braces Fix My Open Bite? 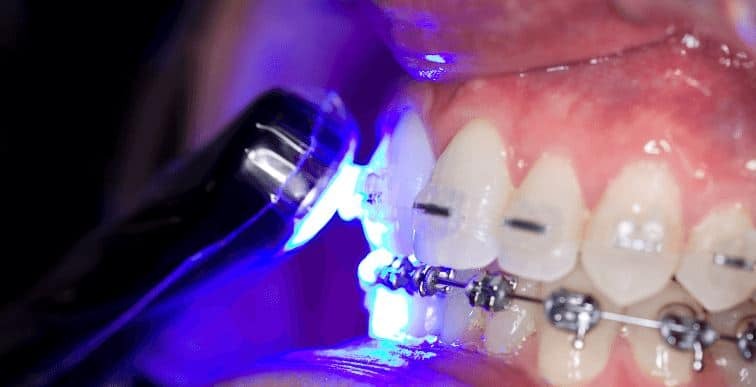 Braces can certainly help fix your open bite, but there are cases where surgery may also be a requirement for complete open bite closure. This type of surgery is called Orthognathic surgery, and an Oral and Maxillofacial Surgeon is brought in to work with Dr. Jasmine to help achieve the goals of our patients. As mentioned, we work very closely with our surgeon to make sure that the end result is perfect both cosmetically and functionally. If surgery is involved, what should I expect? If your case requires a surgical procedure, a surgeon will determine if your case requires a hospital setting, or if it can be done in their clinic. Most times, the case can be done inside the clinic, but for more complicated cases, a hospital setting may be required. Making sure your health is optimal is our goal, so if our surgeon recommends a hospital setting, then that is a decision that we will go with. Which Type of Dental Braces Are The Best? This again depends on your case. Some cases will work best with traditional braces, others can work just as well with Invisalign. A braces expert like Dr. Jasmine can let you know what type of braces will work best for you during your consultation appointment. For patients who have a severe biting discrepancy, most of the times it is best to go with traditional braces. For patients with minor bite issues, crowding and spacing can be fixed with clear braces such as Invisalign. Can Dental Braces Cause Headaches? Dental Braces do not cause headaches. The only discomfort during your treatment will come when the braces are put on for the first time, and when your braces are tightened to get the teeth moving into their proper positions. There has been no scientific studies that has in any way correlated headaches and braces treatment. If you are developing severe headaches, please contact your physician as soon as possible. Can Dental Braces Change The Shape Of Your Face? Braces may slightly alter the shape of your face, but most of the time, this is not noticeable. If you have a severe jaw discrepancy, and you are looking for a significant change in the shape of your face, surgery may also be required during the course of your treatment. Surgical procedures certainly will change your facial dimensions, as correcting your jaw alignment will make a beautiful and noticeable change in your appearance. Most if not all patients are very happy with their cosmetic results post-surgery. Can Medicaid Cover My Braces Treatment? Medicaid has significantly reduced the number of cases it is accepting for braces patients. Depending on your case, there is a good chance these days that medicaid will not cover your treatment, at least in the State of Texas. At Best Dental, we do not currently accept Medicaid. We do offer affordable and competitive pricing if Medicaid does not cover your braces treatment. Can Dental Assistants, or Dental Hygienists Put On Braces? The braces brackets are put on by the Braces Doctor, also known as an orthodontist. Wires, spaces, and Bands can all be placed by Dental Assistants with the Supervision of a trained Dentist or Orthodontist on site. This is why we do not recommend companies like Smile Design Club, and other do it yourself braces centers. Trying to align your own teeth without strict supervision of a trained clinician can ruin your oral health. Please be careful if you are considering any of these companies. Do I have To Wear My Retainers? Yes you do. If Dr. Jasmine and her team make you removable retainers, it’s imperative that you wear them after the course of your treatment so that relapse of your teeth does not occur. Not wearing them may lead to spacing and crowding problems, and may require further treatment. The good news is that retainers do not have to be worn all the time. Dr. Jasmine will let you know exactly how often you need to wear your retainers following your braces treatment. Do I Need To Have Any Of My Teeth Removed During Course Of Treatment? This again depends on the patient. Sometimes, teeth will need to be removed to create the space needed to place your other teeth into the proper position. Most of teeth that are required for removal include Wisdom Teeth and Bicuspids (also known as Premolars). The recovery process for these procedures is quick, and you’ll be on the road to recovery in no time at all. Our trained staff will let you know if any teeth need to be removed during your consultation appointment. Dr. Jasmine has years of braces experience under her belt having treated thousands and thousands of happy patients. During your consultation appointment she and her dental team will let you know what type of braces will be right for you. Remember, you want a trained professional dealing with your oral health. Please do not take your teeth lightly, as it is the only set that you will have for the rest of your life. To have a free consultation with Dr. Jasmine regarding braces, Invisalign, or fast braces, please visit Dr. Jasmine at Best Dental today. You may reach us by phone or just fill out your information at the top or bottom of the page, and one of our staff members will reach out to you as soon as possible.